Cilantro, love it or hate it? If you hate it, you can skip this post (or just read to the end for the quality of the writing). Wash and coarsely chop the cilantro, stems and leaves. Since you’re using the stems, make sure the cilantro is well washed. Add to a blender or food processor with the rest of the ingredients. 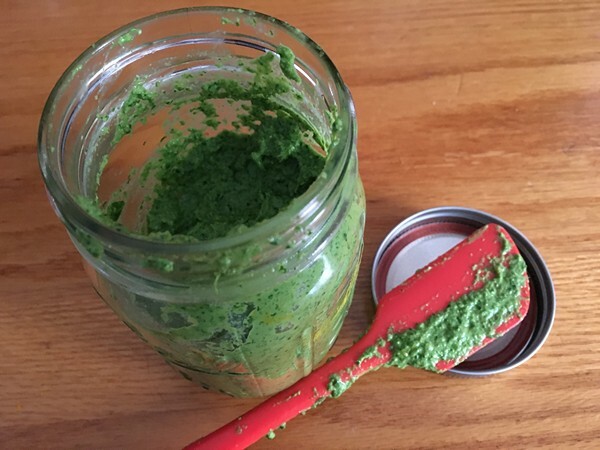 Pulse until the mixture has a smooth consistency, like a pesto. Add some water if necessary to help the mixture blend. Taste and add more of any of the ingredients to your taste. Store in a jar in the refrigerator until ready to use and enjoy! My verdict: I didn’t have many peanuts so ended up with half peanuts and half pine nuts, but there was still a taste of peanuts. I’m sure you could probably use almost any nut. This was really good and went well with the chicken. 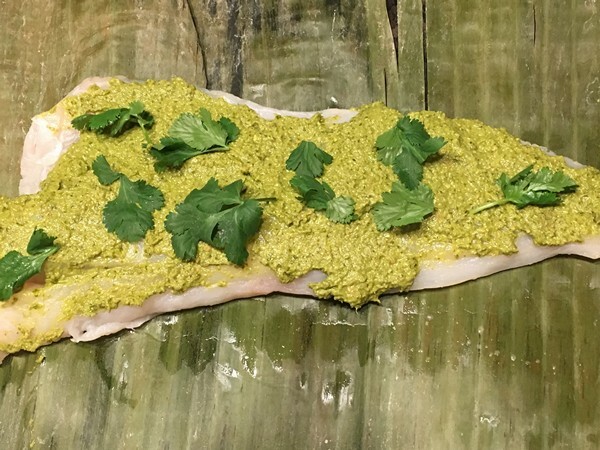 With the leftovers, I continued my freezer cook-down and wrapped some cod in banana leaves for dinner, which looked cool and tasted great! The banana leaves are from my freezer but parchment paper or aluminum foil (as long as it’s not going in the microwave) would also be fine. 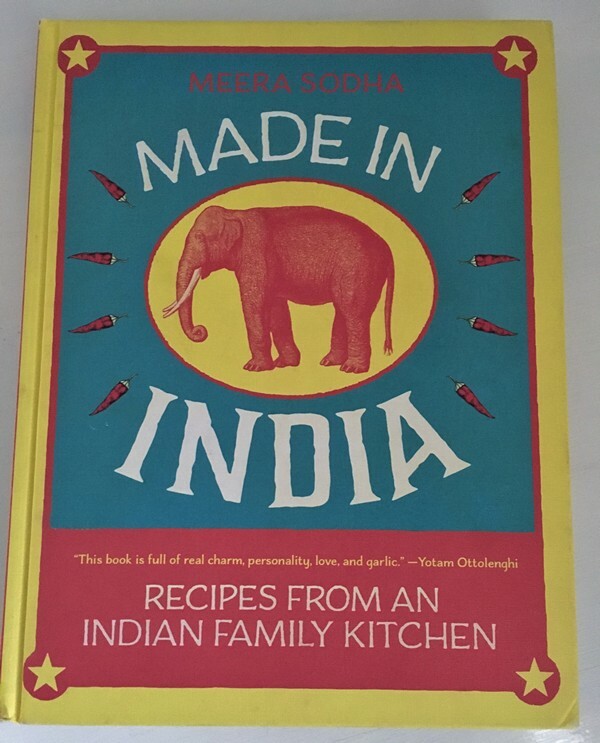 If you like Indian food, this is a great cookbook! I thank my friend Rob for introducing it to me. 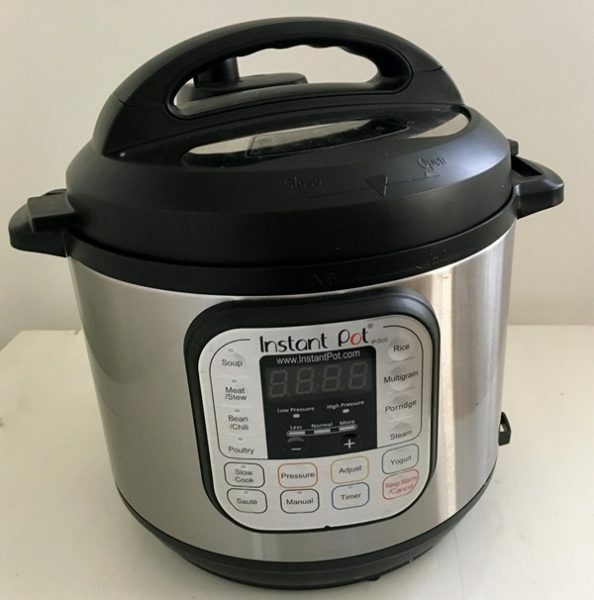 I’ve made several recipes from it, starting with the roasted cauliflower and have many more marked to try. So far, nothing is hard or complicated and my basmati rice is hugely improved! Look for more recipes from this great book. 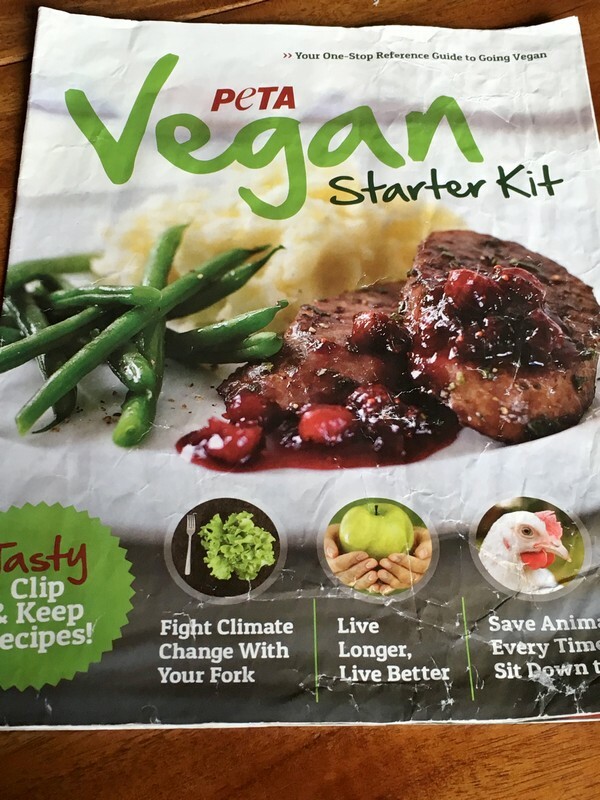 Recently, my mother gave me a copy of the Peta Vegan Starter Kit, a magazine to get you started on a vegan diet. Now, the Accidental Locavore loves cheese and meat, so the chances of me going vegan are slim to none. It’s a free country and if you choose to eat vegan, that’s your choice (like supporting certain loud-mouth politicians), but don’t expect me to. My biggest problem with it, and something that is conveniently overlooked, is the reliance on processed foods. 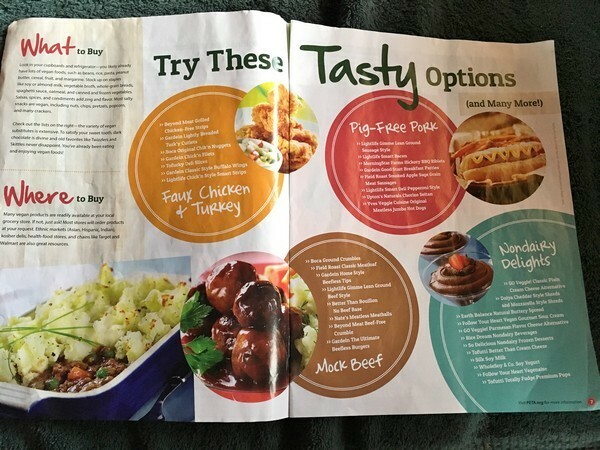 By page 3, Peta is promoting faux chicken and beef, along with vegan margarine (when was the last time anyone even used margarine?). It reminded me of one of the most shocking episodes of the Oprah show I ever saw. She had convinced her staff to go vegan for a week. 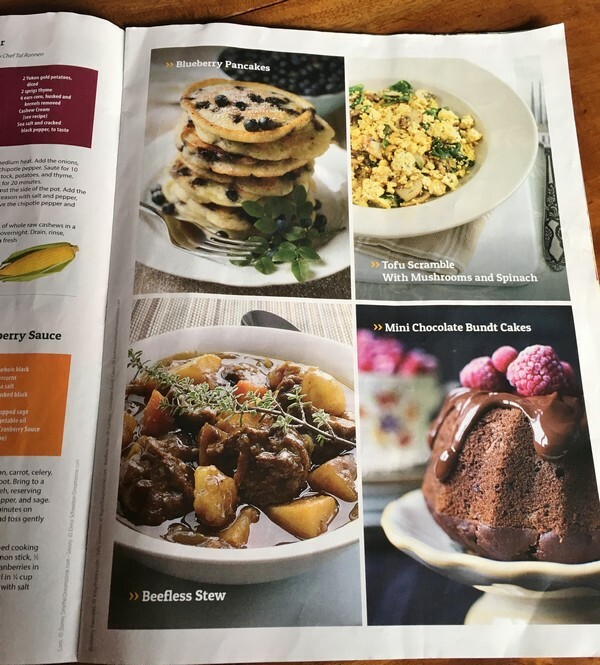 To illustrate the point, Kathy Freston, an author of vegan cookbooks, went to a staffer’s house, cleared out everything non-vegan and went shopping at Whole Foods with the staffer. There they piled a shopping cart full of food, but the cart wasn’t full of vegetables and fruit. Instead, Kathy eagerly pointed out the tofu Italian sausages, tapioca mozzarella, fishless fish sticks, etc. It looked like every single thing in the cart was processed food. Why would you give up simple food—meat, fish, vegetables to eat a “Cheerful Log” Vegan Ham Loaf with a list of ingredients that includes: Vegan chunk (non-GMO) soy protein, soy fiber, wheat protein), non-GMO sunflower oil, tapioca starch, vegetable protein (sweet pea, carrot) , vegan seasoning (licorice, kelp) red yeast, sugar, trehalose*, soy sauce (non GMO) sea salt? At least the soy is non-GMO, although since the Cheerful Log is made in Taiwan, you might be skeptical about that claim. Although tofu is considered to be good for you, 94% of soy beans in the US are GMO, so not as good for you as we might believe. And being vegan takes a lot of time. A lot of time. 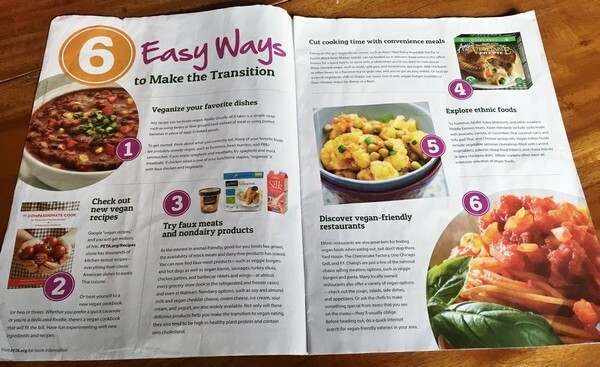 It’s hard to find truly vegan food and then, if you care, probably harder to find food that tastes good. 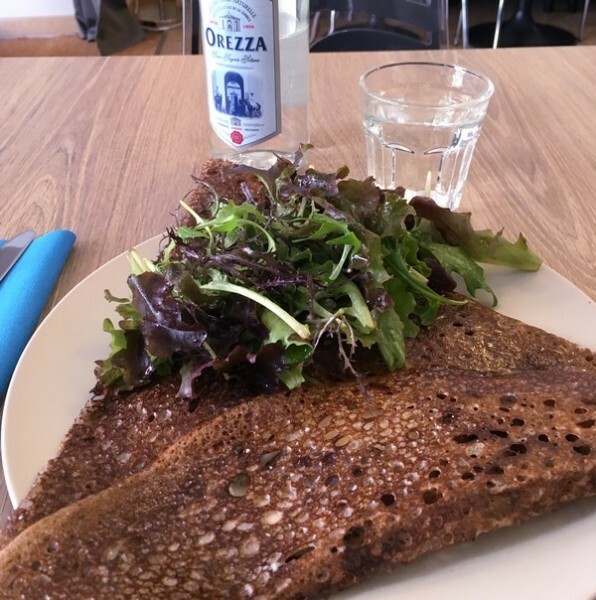 While I have had a couple of dishes where tempe and tofu star, for every one of those, I’ve endured glop that resembles chipboard (probably vegan) more than a Black Angus burger. What about you, could you do it? *also known as mycose or tremalose, is a natural alpha-linked disaccharide formed by an α,α-1,1-glucoside bond between two α-glucose units. Whatever that means. 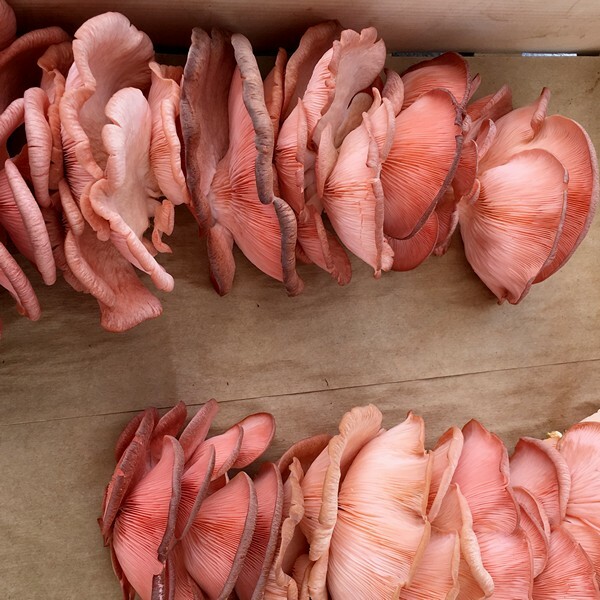 The Accidental Locavore came across this recipe in a recent NY Times article and thought it looked interesting. Cod was on sale so I got a hunk of it and went to work. This was adapted to feed two. You’ll want to give it some time to marinate, so plan accordingly. Some couscous or rice would be a nice accompaniment to the fish. 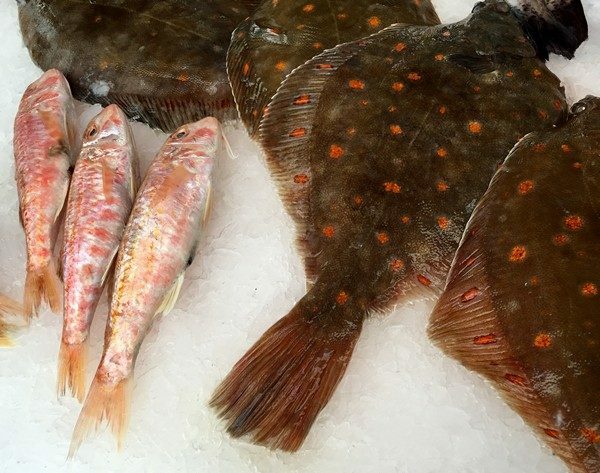 Season fish fillets lightly with salt and pepper and set aside. 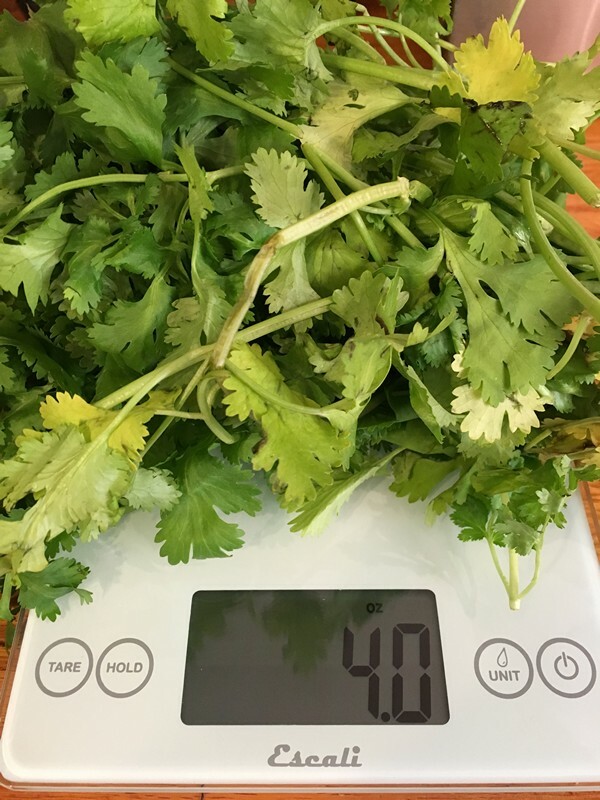 Reserve a few cilantro sprigs for garnish, then roughly chop leaves and tender stems and put in a medium bowl. Add 1/2 teaspoon salt, the garlic, the chile, 1/2 teaspoon ground cumin, 1/2 teaspoon ground coriander, the paprika, 1/4 cup olive oil and the lime juice. Stir mixture together. Put the fish in a Ziploc bag or storage container with a lid. Reserve 2 tablespoons of the cilantro sauce for serving, and pour the rest of the sauce over fish fillets, making sure they’re well coated. 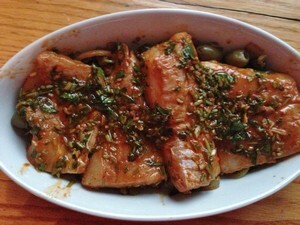 Marinate at room temperature for 1 hour or refrigerate and marinate overnight. Heat oven to 400 degrees. 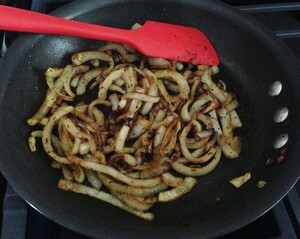 Put onions in a low baking dish and spread to a 1-inch thickness. Arrange marinated fish fillets over onions in a single layer. Bake on top rack until fish is just done, 10 to 15 minutes. 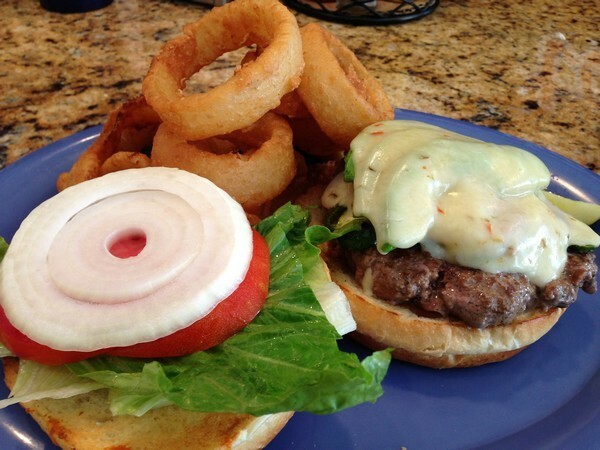 To serve, smear a little reserved cilantro sauce over each fillet, and give each guest a large spoonful of the onions. Garnish with cilantro sprigs. Serve and enjoy! My verdict: really good but could be tweaked to be great! A little salty, so would rinse off the preserved lemon, or use less of it. Ditto the olives (I don’t know if the pits add anything to the flavor of the dish, but I used a handful of mixed, pitted olives). Since somehow my pantry was lacking in cumin seeds and I was lazy, I used a teaspoon of ground cumin and the same amount of ground coriander. Spices like that are always more flavorful if you do take the time to toast and grind them, but if you’re feeling lazy, don’t let that stop you from trying this dish. If you’re feeling sticker shock on limes, lemons would be fine in this dish. What was really good and would make a good base for a number of things, were the onions. 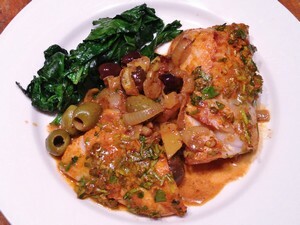 I used cod for the fish, and it had the body and taste to stand up to the spices. Might have wanted a little more heat from the serrano, but there were enough other strong flavors that maybe it’s not necessary. I served it with some spinach, but couscous or rice might have soaked up some of the sauce (and salt).